NetEnt again continues its expansion in the North American online gambling market thanks to a customer agreement signed with gaming operator Hard Rock Hotel & Casino Atlantic City. This esteemed company is known for its resorts and is now opening a new business in new Jersey. In addition to the new business an online gambling portal will follow with NetEnt as one of the suppliers. For a long time, the United States gave the world the glitter and glamour of Las Vegas and the bright lights of Atlantic City, but it was in 2006 that the federal government started to reject the country’s online gambling industry. In many countries in the world, laws on internet gambling were extremely grey or unwritten and the legality of gambling online was unclear. The last gambling law in the United States that could possibly pertain to online gambling was the 1961 Federal Wire Act relating to betting intrastate through telephone lines. While federal governments all over the world have been attempting to ban online gambling, often failing, it was in 2006 the United States wrote the Security and Accountability for Every Port Act of 2006, also known as the SAFE Port Act, which is based on securing ports in the United States. The Unlawful Internet Gambling Enforcement Act (UIGEA) became successfully part of this particular bill and its introduction had huge consequences for the emerging online gambling industry in the United States. Even though the UIGEA is essentially a banking restriction, so gambling businesses cannot knowingly accept payments based on betting or wagering over the internet, this tricky act made Americans believe it was illegal to gamble online. Which is understandable as the UIGEA made it extremely difficult for US players to transfer money to online gambling sites. This is how an effective ‘ban’ on gambling was enforced which eventually led to the shutdown of the online casinos and poker rooms targeting the North American online gambling market. Today, online gambling is still prohibited by the US government thanks to the legislation in the country. However, the law’s specificity leaves wiggle room for the states. This is because the UIGEA does not seem to apply within the boundaries of states. Over the years, some of the states legalized various forms of gambling while other states may do so in the future. This simply means that the individual states may allow online gambling if it does not cross borders and only players within these states are allowed to enjoy particular forms of online gambling. This way, the online gambling industry in the United States is re-emerging thanks to a few re-regulated states like New Jersey, Delaware, and Nevada. Entering states that are by now allowing citizens to gamble online, might bring along some challenges, but they are well worth the effort on the road to success. That’s the reason why NetEnt in 2014 announced that the timing was right for the company to intensify its efforts to enter both the United States and Canada. While already a leader in regulated online casino markets in Europe, NetEnt was closely monitoring and evaluating the developments in North America. When the time seemed right, NetEnt’s mind was set on the New Jersey market and not long after, it started the licensing process. A logical choice as New Jersey is one of the first regulated markets with lots of potentials. After NetEnt’s announcement regarding the company’s expansion and getting established in New Jersey, several customer agreements were signed in 2015. Contracts were signed with bwin/Borgata and Caesars Interactive Entertainment while a cross-patent licensing agreement was signed with IGT for the entire North American market. NetEnt signed its third customer agreement in August 2015. This time with Golden Nugget, another well-known brand in the US casino industry. In September 2015, NetEnt received a transactional waiver from the New Jersey Division of Gaming Enforcement, allowing the company to launch its digital gaming products via Borgata and bwin.party brands. 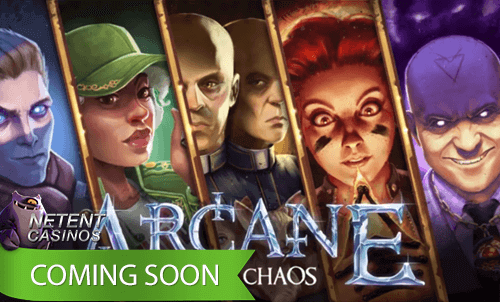 In October 2015, a selection of NetEnt Games went live at Borgata’s online casino in New Jersey. In the same month, another agreement was signed by the company with as a result that games would become available at Resorts Casino, another renowned casino operator in New Jersey. Now, 2,5 years later, NetEnt is still patiently waiting for its Casino Service Industry Enterprise Licence to be approved by the New Jersey Division of Gaming Enforcement (DGE). Meanwhile, the company is able to apply for a transactional waiver for every signed customer in New Jersey. Seems NetEnt has to apply for another transactional waiver as another customer agreement has been signed by the company this week. The agreement was signed with gaming operator Hard Rock Hotel & Casino Atlantic City for the regulated online casino market in New Jersey. 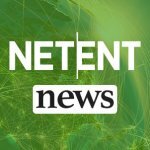 With another New Jersey deal, NetEnt Americas LLC continues to strengthen its presence in the regulated online casino market in New Jersey. Hard Rock International operates one of the largest global hospitality businesses with casinos, hotels and restaurants. This well-known company is now in the process of setting up an online gambling portal in addition to their new land-based casino in New Jersey.